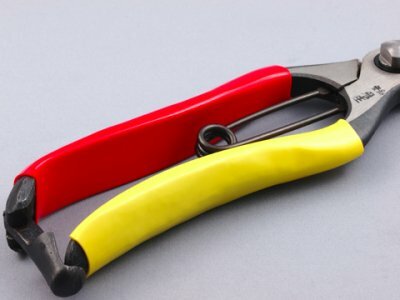 One hand Secateurs (Double and Straight edge 270mm) is the pruning shears which the technology of TOBISHO concentrated. One hand Secateurs (Double and Straight edge 270mm) of TOBISHO is the feature that a lightweight thing is big, although an edge is long. The design of various parts was improved and it succeeded in the weight saving. 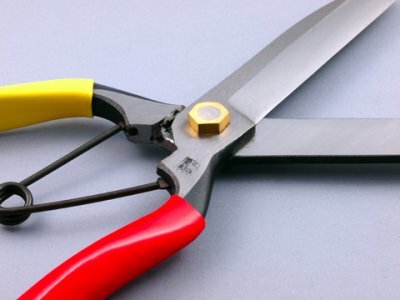 The angle which an edge opens is made for these scissors to stop at a moderate place. That is, a grip did not open too much and it has succeeded also in reducing the tiredness of a hand sharply. 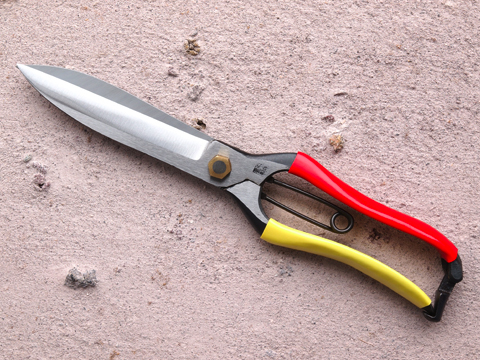 Moreover, it is the feature that the scissors of this double-edge are easier-to-use than single edge. However, since it is not strong to the external force pried or twisted, please be careful of handling. 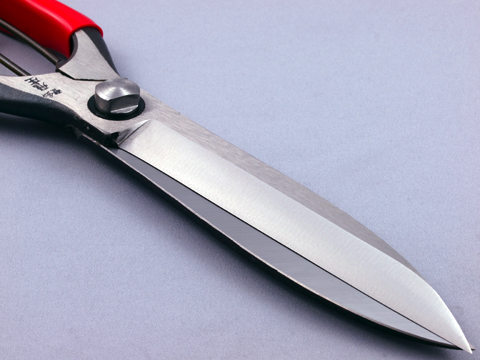 When you cut a thick branch, please cut to pinch and turn a branch at back of an edge as much as possible. Fundamentally, please use for the cutting pruning work and finishing operation to fabricate. A soft sprout and verdure are cut especially or it is fit for the work which arranges shape. Since one hand can be used for organization maintenance when working reaching a stepladder and a tree, cutting work can be performed with the stable posture. Cutting pruning work and finishing operation to fabricate. For Agriculture, Gardening, production of a Japanese garden ,etc. It will be necessity about three business day to send. 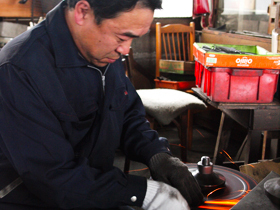 Tobisho is a blacksmith in 200 or more at history. The number of masters is the 8th. In pruning shears, it is the 2nd. Also in it, Tobisho has original heat treatment and gloss technology, and is very famous in pruning shears. Many agriculture and the specialist on a gardener are using it. * Please do not twist. * Please do not use it for any purpose other than wood branch. * It rusts for a steel part. Please wipe after use well. * Pleasey a whetstone, if it becomes difficult to cut. * If edged tool oil is applied, it will last long more.